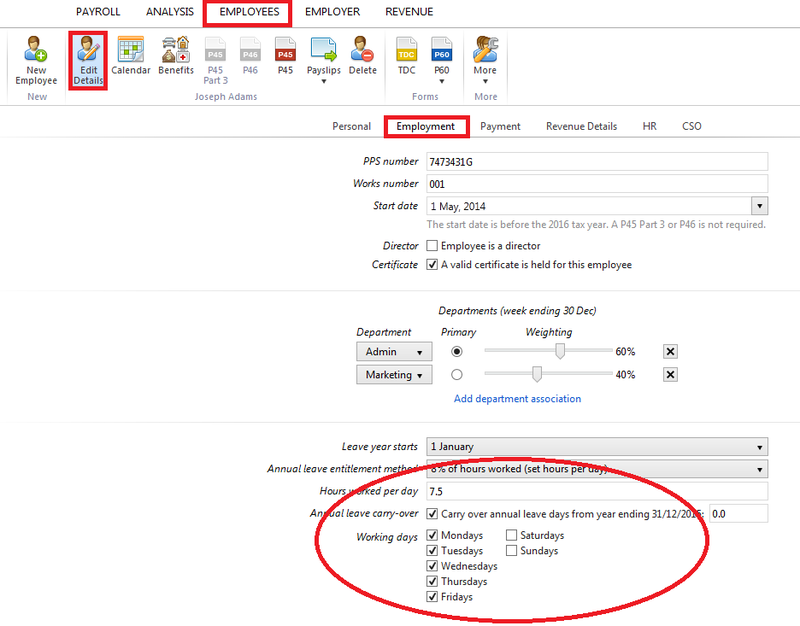 To access an employee’s calendar, click Employees and select the required employee from the listing. Days marked in black are the typical working days for the employee. 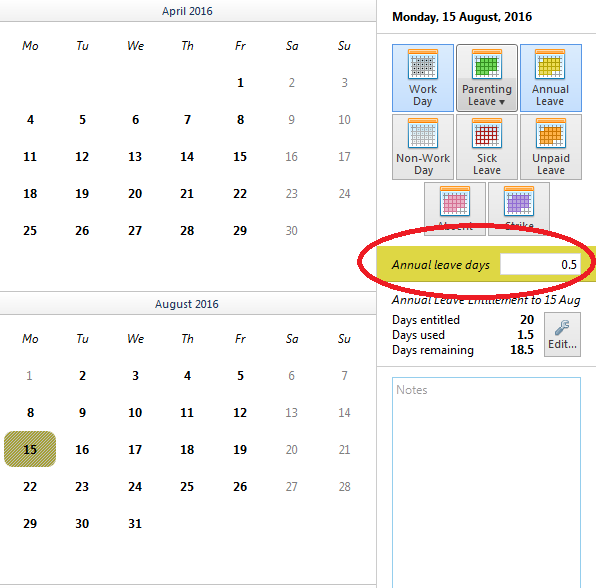 Days marked in grey are the typical non-working days for the employee. If the incorrect working days have been flagged in error, simply amend this section and the employee’s calendar will reflect the change. The day will change from grey to black to now denote a working day. BrightPay will keep a track of an employee's annual leave entitlement based on the annual leave entitlement method chosen for them. part days can be allocated by selecting the applicable date on the calendar and using the dedicated option to the right of the calendar to adjust accordingly. part hours can be allocated by selecting the applicable date on the calendar and using the dedicated option to the right of the calendar to adjust accordingly. 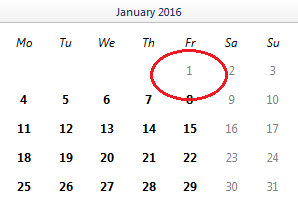 To add a note to the employee’s calendar, firstly highlight the date on which you would like to add a note. Please note that days in past pay periods are locked and cannot be accessed. Enter the note on the right-hand side. A date that is underlined denotes that a note has been added for that day. To view a note again, simply click on the relevant date to display the narrative on the right. For assistance with recording sick leave and parenting leave on an employee's calendar, please view the relevant help section within our support section. 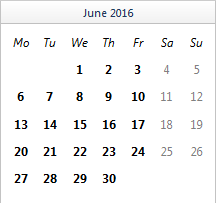 To view/print the Calendar for one or more employees, simply select the Employees tab. 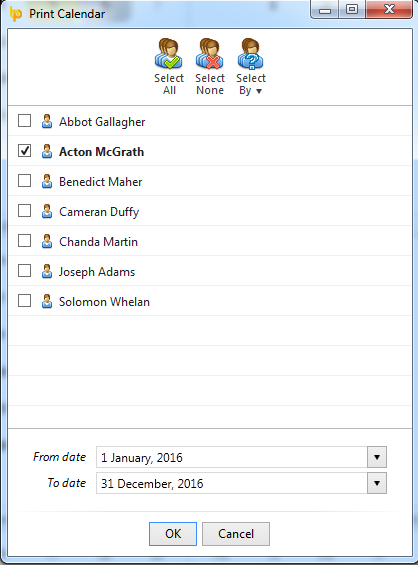 Simply select the employee(s) whose calendar you wish to view or print and select the ‘date range’ you require. Click 'OK' to view your selection on screen.